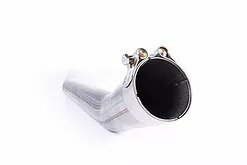 Front exhaust system with high performance catalyst. 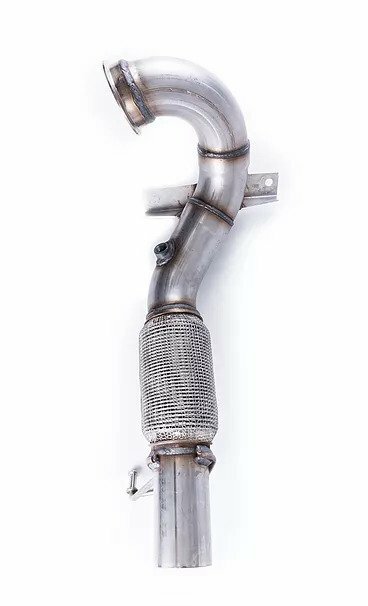 From many years of developing the race exhausts for the Volkswagen Racing Cup, we have partnered with Milltek Sport to offer a more extreme ‘Cup Edition’ Front Exhaust downpipe and catalyst for the MQB-platform cars with 2.0 TSI engines. 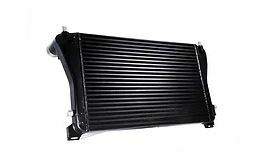 The same type-304 aircraft grade anti-magnetic stainless steel that our race systems use. 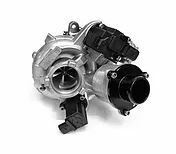 European-made 200 CPSI Hi-Flow HJS Sports Catalyst for up to 30% more flow. 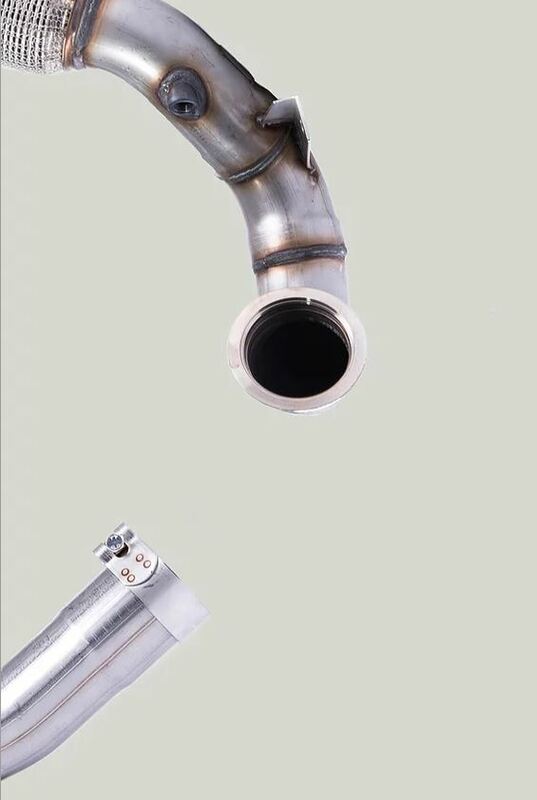 With minimal disruptions the system flows exceptionally, using a carefully optimised Ø: 3.00″ (76.20mm) section tube. Our European-made high flow catalyst will not trigger ‘Check Engine’ light. 200 CPSI Hi-Flow Sports Catalyst carefully positioned to maximize flow and minimise turbulence. 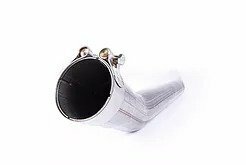 High quality type-304 aircraft grade stainless steel for all parts. Low profile, fully lined stainless steel flex section to absorb drivetrain movement. Mandrel bent full flow bends for better gas flow combined with the increased Ø: 3.00″ (76.20mm) bore. 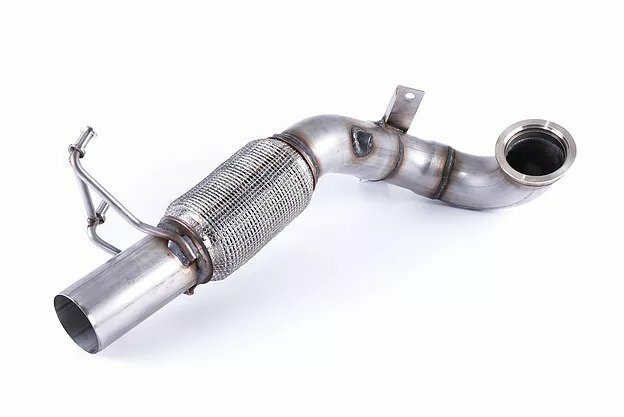 We supply exhaust systems for various applications. 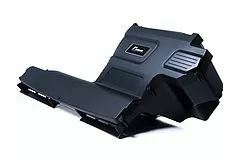 For a system specific to your car please call us. Our OEM+ Stage 3 upgrade offers a complete, turn-key package that is entirely usable on a daily-driven car yet offers devasting performance just one squeeze of the throttle away.